Omar Barrera has been compassionately serving the Miami-Dade community for over 25 years. Having developed a philanthropic spirit from an early age, he co-founded the Miami Society of Young Philanthropists raising awareness and funds to support various children's foundations around the city - among them, The Motivational Edge. 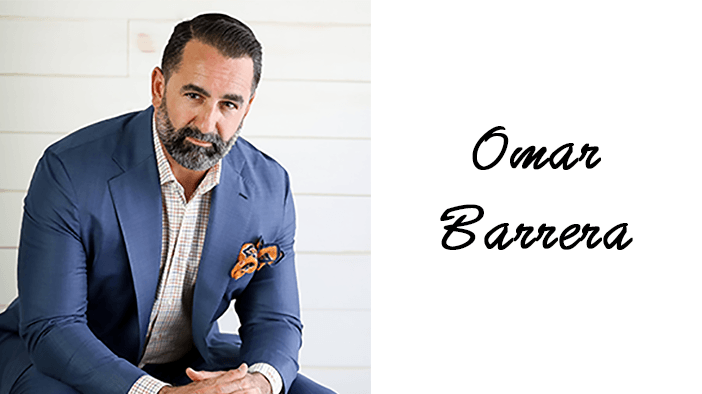 A committed community leader, Omar is a member of the Baptist Health Founders Society and has been a longtime supporter of nonprofits including the United Way, Special Olympics, Christopher Columbus Alumni Board and the Live Like Bella Childhood Cancer Foundation. Omar is a member of the DEA Citizens Academy Foundation whose mission is to advocate and raise funds to support families of fallen agents. He is also a member of the FBI Citizens Academy Foundation that works with children in need in the community and raises funds to support families of fallen agents. Omar is a licensed agent of Mass Mutual - a Fortune 100 company - providing financial products and planning services. In his ten year tenure, he has been recognized and received accolades as a member of the prestigious Million Dollar Round Table, Leaders Club, and is a Blue Chip Agent. He attended the University of Miami where he pursued his career in baseball playing for the Miami Hurricanes. He subsequently spent a year playing professionally in Holland with the Dutch Baseball League.